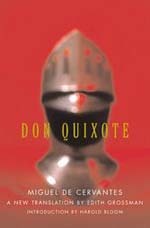 The novel Don Quixote went through various film adaptation attempts to no avail. Something or another happened that halted production each time. It happened enough times that it’s seen as a cursed film project. But it hasn’t stopped any attempts to bring it to fruition. The latest attempt is by Disney, with Steve Pink and Jeff Morris writing. It’s described as a modern re-imagining. For the actor who is involved in this attempt at Don Quixote? Johnny Depp, who was once attached to one of director Terry Gilliam’s attempts. And speaking of Gilliam, I’m disappointed that his obsession with the project was always cursed. The man has a wild imagination and he does a wonderful job of putting it on screen, as proven by The Imaginarium of Doctor Parnassus — by the way, you should watch it if you haven’t. It stars Andrew Garfield and Heath Ledger, with Johnny Depp, Colin Farrell and Jude Law; that should be enough to pique your interest. Anyway! What I’m getting at, is that Disney should get Terry Gilliam as director. He’s a natural fit, and let us not forget he’s good friends with Depp. He’s been passionate about Don Quixote for years and has shown no signs of wanting to give up. With Disney’s backing, the project will surely meet completion. You know what to do, Disney.